Back in Amsterdam. Experiencing a tiny post-vacation dip. No hills at the horizon. No rolling vineyard covered hills. I think about our visit to Grattamacco, in the Southern part of the Tuscany coast, the Maremma; the Bolgheri wine region. Relatively young, absolutely beautiful. The view from Grattamacco is simply stunning: at the one side woolly hills with trees, and just here and there grown with vines. At the other side the lowlands, eventually running into the azure blue sea. Tonight we will – undoubtedly effectively – fight our dip with good pizza and the second wine from Podere Grattamacco: Bolgheri Rosso. 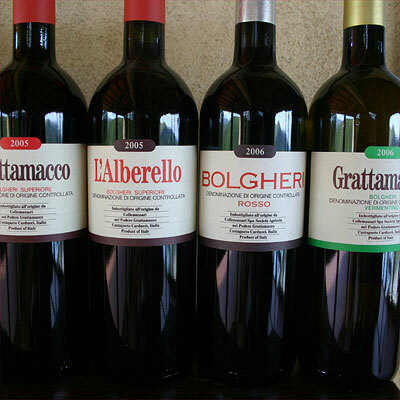 Grattamacco is one of the so-called Super Tuscans. 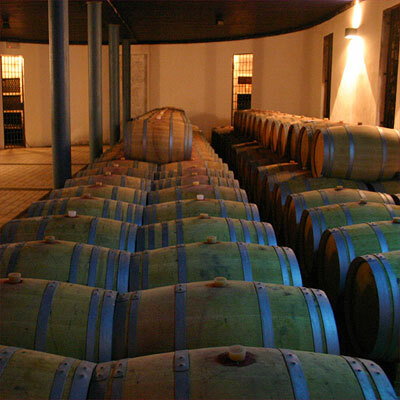 But Grattamacco is also small, and not as well-known as neighbouring Sassicaia and Ornellaia. The rise of Bolgheri as a wine region started with Sassicaia (meaning "stony soil"), the wine created in the mid 20th century by Mario Incisa della Rocchetta, a marquis from the Northern (wine) region Piemonte with a passion for French wine. All grand Bolgheri wines – more or less – sprout from the idea behind Sassicaia: simply said to enrich the Tuscany wines with French class – work with French grape varieties and French oak, and use French winemaking principles. And this in combination with the warm and dry climate of the Maremma, and the well-drained red soils of the maritime hills (rocky topsoil on an alluvial subsoil). 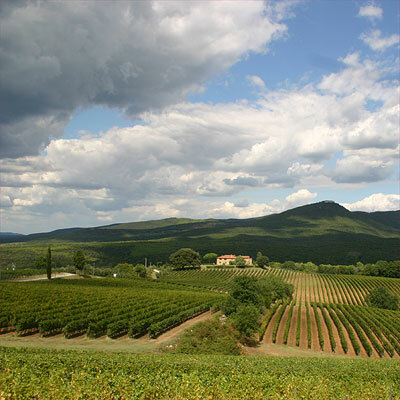 Sassicaia started off as a private thing, Incisa experimenting at the Tuscan coast with his French toolkit. It took a few decades(!) before the wine was brought to the market, in 1968. Today you won’t find Sassicaia below a hundred euro’s. Much later Ornellaia was created by Antinori (from Chianti). But the second wine created after Sassicaia was Grattamacco; it was started in 1977 by Piermario Meletti Cavallari from Milano, the first commercial vintage followed in the year 1982. The domain covers 11 hectare. From the grand estates only Grattamacco is fully organic. 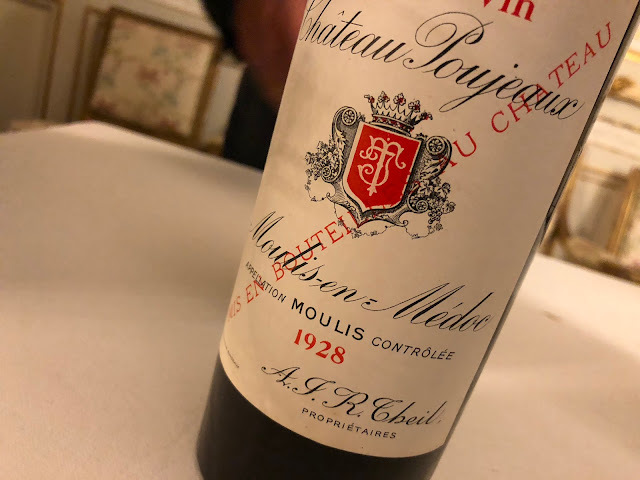 A few months ago I tasted the 2003 (also in Tuscany a hot and difficult vintage) and I was impressed, now I tasted the 2005 and again I was impressed. The Grattamacco is a French-Italian marriage of 65% cabernet sauvignon, 20% merlot and 15% sangiovese. The latter giving freshness and liveliness to the wine, the role that is played by the cabernet franc in Bordeaux. Other than with most wines in Bordeaux, during fermentation the juice is not pumped over (remontage), but manually stirred (pieage). 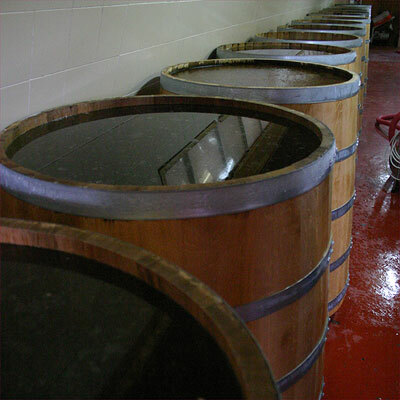 This happens in small wooden fermentation vats that are unique for Grattamacco. In general there’s hardly any pumping involved here: the destemmer is simply placed above these small fermentation vats, and after fermentation the young wine naturally flows into the barriques in a cellar deep underground. There the wine ages for 18 months on 100% new French oak. Grattamacco combines seduction (yes, chocolate!) and stylishness, an elegant teaser so to speak. Suave, intense, ripe, dark. Very lovely wine, beautifully balanced. In my previous posting I already mentioned my "favourite enoteca" in Castagneta Carducci, the village close to Grattamacco. 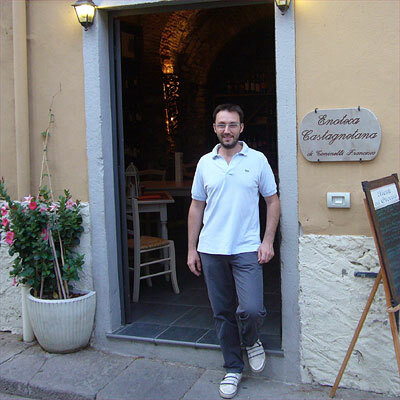 It is Enoteca Castagnetana from Francesco Toninelli (Via Cavour 21). Not on the main road, thus better prices and better stories! And by the way, Francesco's father owns a restaurant with a terrace that has the most beautiful view you can imagine. Happiness is complete when you take a look in the wine list… the name: Ristorante Il Vecchio Frantoio. "Cucina Tipica Castagnetana", with wild boar from the surrounding mountains. Not to miss. 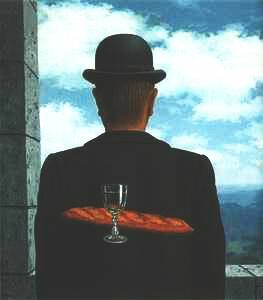 Finally: thanks to Maria Genova from La Strada del Vino for all explanations! Sassicaia: don't you mean created in the mid 20th century? Yes Mariëlla you're right, it's corrected now, thanks!